Autoimmune causes of epilepsy have become an increasingly recognized etiology, especially in treatment refractory cases. Over the past two decades, there has been an explosion of new biomarkers that have led to the identification of new syndromes. As the underlying pathophysiology is immune driven, their management and treatment are directed at the modulation of this abnormal immune response against self-antigens. These antibody-specific syndromes show variation between adult and pediatric populations. 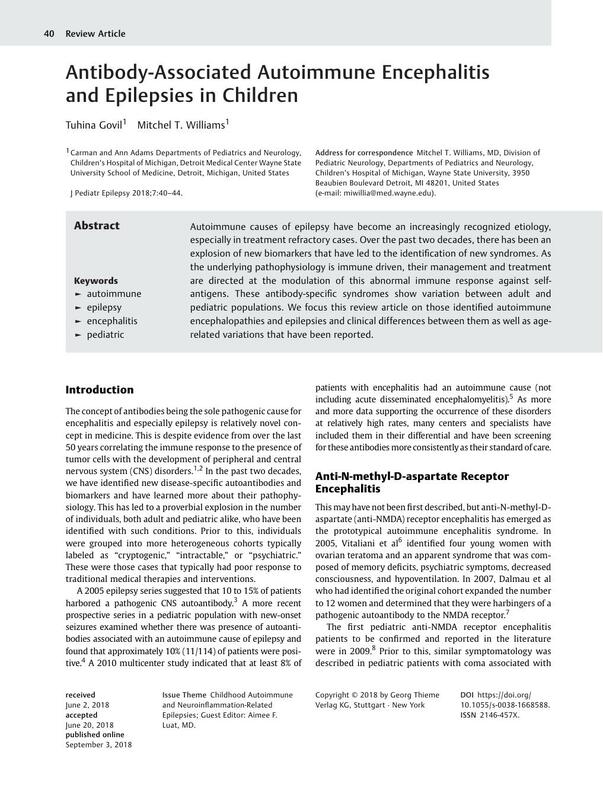 We focus this review article on those identified autoimmune encephalopathies and epilepsies and clinical differences between them as well as age-related variations that have been reported.